Was $20. Now $15 Thru Dec. 31st, 2017. 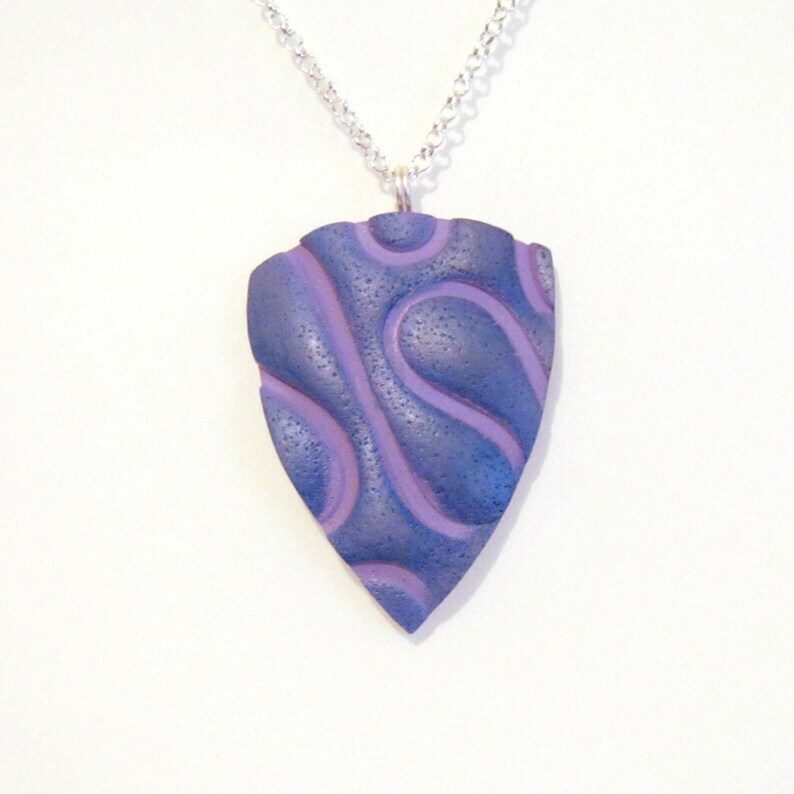 A lightweight shield shaped textured pendant on indigo purple (not quite blue, not quite purple). The pendant's unique squiggle pattern gives it a three-dimensional effect enhanced by the application of blue and purple alcohol inks. While the photos may make it appear more blue, the pendant is closer to purple. The pendant has had an acrylic sealer applied but should not be worn in water. The cord threads through a pair of silver plated wire bails. Pendant measures 2.25" high by 1.5" at widest. Don't let the size fool you. Polymer clay makes this pretty very light and comfortable to wear. Choose your necklace length at checkout. Finished with a pair of handcrafted spiral cord tips and hook clasp.